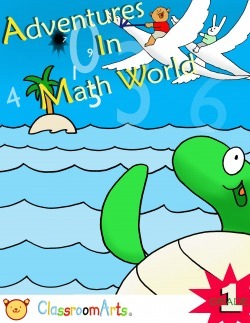 Fly into an adventure in Math World! Use this coloring book to help students understand the basic concepts of numbers. Explore the wild island and learn whole numbers! See how they can be used to quantify objects! Students will enjoy coloring giant numbers and illustrations as they better understand the relationship between numbers and objects. Join the fun with this wild bunch and count on a good time!